Editor’s Note: The Income Reports have been moved over www.foodblogengine.com where we dive into all the behind the scenes of our six-figure online business. For those who care about the business side of running a food blog, stay tuned. 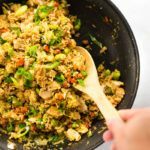 After running this food blog for the last 6 years, we have had lots of ups and down. Almost quit a few times but, eventually, persevered. September will be the first month where we have fully replaced (even doubled!) Lacey’s working income with income from the food blog. Right now, we are on track for over 11k in revenue in September. Obviously, taxes and expenses come out of that but still pretty awesome that we can generate that much income from this blog. When we started, it was designed to help Lacey grow her personal chef business and it’s turned into its own thing. We still have months that get us frustrated but, overall, we see the light at the end of the tunnel and can celebrate all the hard work we have put in for such a long time. 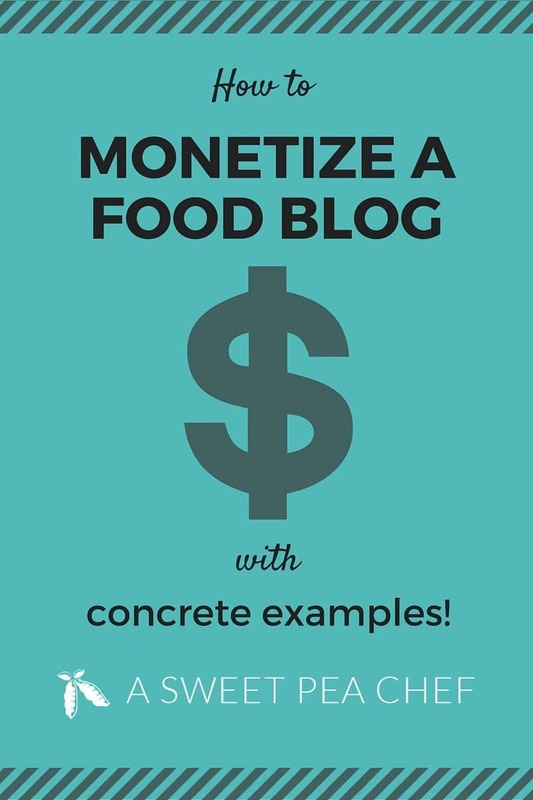 One of the reasons we kept struggling in the beginning was there were no real concrete examples of what to do or how to do it in order to generate an income from a food blog. However, over the years and with some help from our friends over at food blogger pro, we have figured out how to monetize a food blog and I want to help as many people as I can reach that same goal. One of the benefits of spreading out your income across multiple channels is that you aren’t completely dependent on one area to survive. Let’s go over the various channels. Display advertising is our most consistent source of income. This is the easiest piece to get started with. You can have a few units on your site almost immediately and make some money. While it doesn’t generate as much revenue as it used to, its still a good way to start. 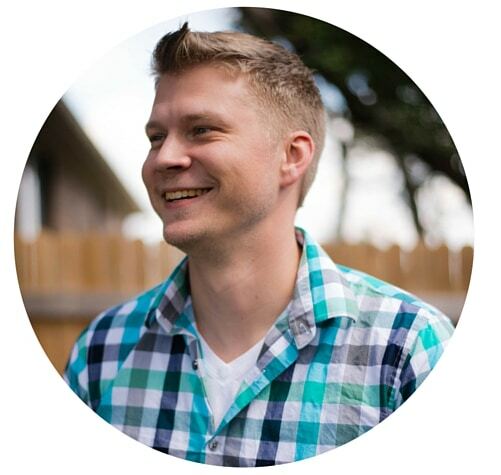 Ideally, one would have enough products that perform well enough to run your own ads, but while you build the site and/or products, it is a super useful income generator. Most display advertising is paid based on a CPM or CPC basis. We usually generate a little more than $5 on CPM-based ads (this is pretty normal for a food blog). Some food blogs that target more specific diets or health issues can generate more. There are ways to improve your income in this area by optimizing the ad locations, the type of ads, and setting up waterfalls to have fall back ads when one ad network can’t fill your inventory. Video ads are similar to display ads in that they are a relatively consistent source of income for us. Since we have only been doing video for the past year, the Youtube Channel is much smaller than the blog. While we have had 250k views on Youtube and 1 million video views across all video platforms online, we generate a much smaller portion of our income from it. You can use companions ads that show up on the site that match the ad in the video, pre-roll ads before the video, and/or hover over ads that show up on top of the video while it’s playing. CPMs vary a lot with video because of quality issues. A lot of videos on Youtube don’t have good quality and, if you get lumped into that group, it’s hard to generate a good revenue from it. However, if you use an ad network to help promote you and make advertising deals that you normally wouldn’t have access to, it helps to increase the CPM. Currently, we see between $.5 and $4 CPM. Ways to improve your income in this area include the right ad network/partner and improved quality to get better ad campaigns. The larger you get, the easier getting these deals becomes. This is a new area we are currently considering adding. You can use a company like this and add a few ads inside the email. The other option is to create a product and advertise it in the emails to your list. Currently, we are comparing the two and I will let you know what we find out. I prefer the overall experience to be products we are either associated with through branding or we created (as opposed to random ads) but we need to look at the income implications of each. If your email list is small, this won’t really generate a lot of revenue since you will need to get a lot of impressions to generate revenue. We use to have a food photography book that Lacey created a long time ago when we ran dishfolio. Lacey retired it when she felt it didn’t reflect her current photography skill-set and started to instead promote this one which she thinks is really useful and well-written by Lindsay from Pinch Of Yum. The idea is that you create an ebook or video course around an area that you know really well. If this area of expertise aligns with your audience’s pain points, it can translate into sales and helping your audience out at the same time. For example, Lacey recently created an ebook on Healthy Kid’s Lunches Guide that Lacey has wanted to do for over a year now. 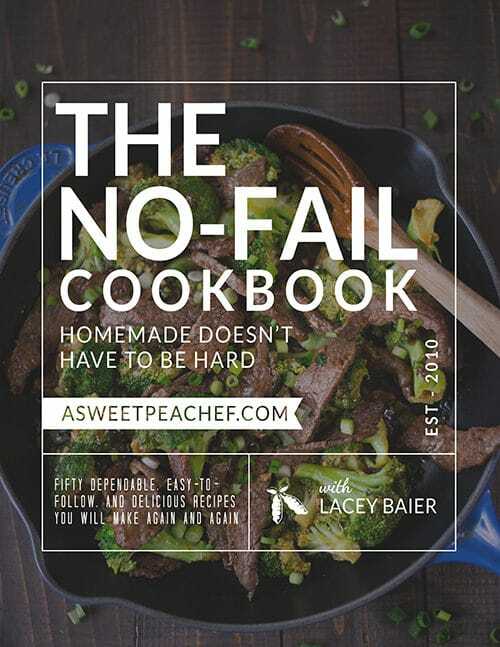 Our No-Fail Cookbook has been out for a year now and it has done really well. It is a good source of revenue. Although small, it also is a starting point for a relationship with our audience. Helping by giving our audience a bunch of no-fail recipes they can use again and again and know that they will turn out. One of Lacey’s biggest complaints is trying a recipe that just doesn’t work and sometimes doesn’t even make sense from a technical cooking perspective. 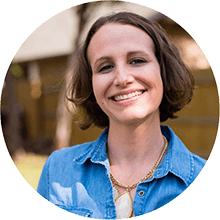 So, her goal was to create a cookbook that had easy-to-follow recipes that you could count on. The price range of these eCookbooks is somewhere between $2-20. This obviously won’t set you free of your day job, but it’s a good start to generating income. One of the traps we fell into early was not having a good understanding of how much revenue each one of these areas should make. We unrealistically would get disappointed by lots of sales because the dollar amounts weren’t high enough. Instead, our focus has shifted to creating the product and solving the audience’s problem with the understanding that this is just one piece of the business puzzle. So having a physical cookbook is really cool. This is something we have been looking into for a while. We know other successful food bloggers who have them and they have done really well for them. It is definitely something we are looking into. A lot of people over the years have said they really want a cookbook from Lacey and I know she wants to deliver on that. I’m really want her to make a cookbook that has a theme of something to do with cinnamon and/or pistachios since she loves those both so much lol. The revenue from this is really all over the map. It depends on if it is self-published or not. It has become a lot easier to make them yourself and even have amazon fulfill it for you so you don’t have to deal with shipping. Otherwise, you can make a deal with someone else and get an advance upfront and then smaller chunks (royalties) later. A membership site can be a great source of recurring income if you charge a recurring amount. 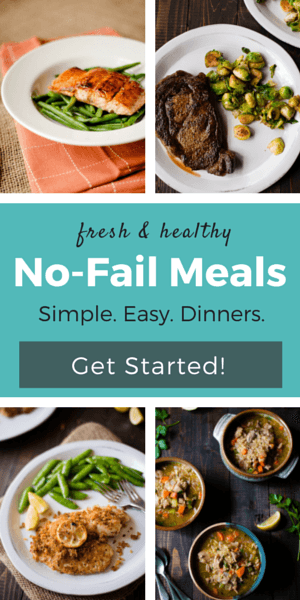 While we do this for our No-Fail Meals service, we don’t actually use a membership site model for it…yet. We have tried a membership site to launch video courses before with some small amount of success. 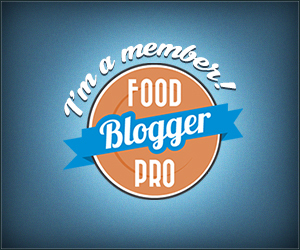 A better example is food blogger pro which charges monthly or yearly to be a part of their food blogging community. We are members 🙂 if you want to stop by and say hi. You could create a membership site that teaches cooking, gives advice related to food, health, etc…really anything that would keep people engaged and interested in paying a monthly fee to get your service or information. In the food niche, I have seen memberships as cheap as $5 bucks a month all the way up to $49 bucks. Food Blogger Pro is $29 right now and our own No-Fail Meals is $9 bucks or $15 depending on which option you choose. Currently, we offer a meal planning service. This is a service where Lacey maps out meals and groceries for you every week. The service includes a VIP facebook group where Lacey answers any questions and people can get support with the dinnertime struggle. 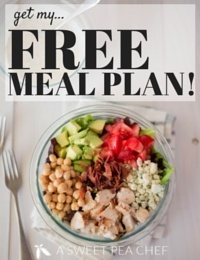 This service is a great way to save time and money if you are looking for help with dinner. From a revenue perspective, this is a great consistent source of income for us. We have 50 people currently in the plan and have had over 60 people sign up in its lifetime. Besides ads, this is our most consistent source of income. Affiliate marketing is when you promote somebody else’s product and, if it is sells, you get a commission. Three good examples of this are amazon’s program, hosting services, and food blogger pro. 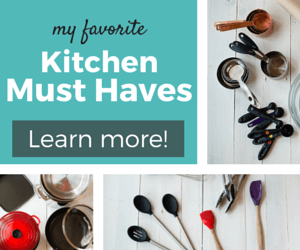 We use amazon’s program to provide links to any kitchen items that Lacey uses and recommends so people can find these easily and we get a small commision if someone purchases them on amazon. We also promote our hosting service, wpengine. It has been great for us and fixed a lot of our speed issues that we had before we started using them. We also promote food blogger pro since Pinch Of Yum was really a big factor for us in figuring out how to turn a food blog into a business. This is a very small percentage of our income, but it is an easy way to start making money if you are just getting started and it is relatively consistent. 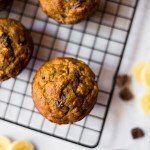 Recently, Lacey started contributing to a larger food blog. This was in an effort to grow her exposure and brand awareness as well as to diversify while we work on some of our own projects. This is a good place to get started if you need to make a little money while building your blog or just see if this whole thing is good for you. The normal rate for a post is $50-200 bucks a post and/or some type of revenue share for the advertising that comes in from it. Depending on the size of the site and the niche and your experience, this fluctuates a little bit. This can also be a little hard for new bloggers. It took Lacey a long time to be able to create recipes and do photo shoots as fast and as good as she does now. When trying to create 2-3 posts a week for this site and then 2-3 posts as a contributor for a different site, it can feel like you’re cooking and shooting photos all the time. However, if you want to start blogging full time, it is the fastest way to add a stable source of income and also build some credibility. A Lot of food companies outsource their recipe development to food bloggers. They don’t employ a staff to do this preferring to just contract when needed. 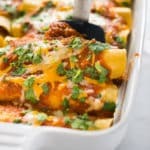 This isn’t an area where we have a lot of experience as we usually just post these recipes on the site, use them on sites we contribute to, or stick them in our No-Fail Meals meal planning service. 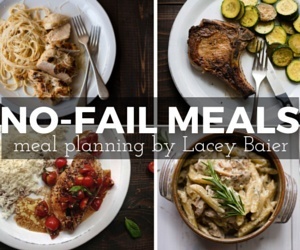 However, Lacey has created recipes for sponsored posts (read on for more on this). Sometimes, people need food photos. This could be for a magazine, advertisement, or a product label. Or, it could be someone just wanting the rights to a photo for some other reason. The pricing for this is really all over the map. We usually get $300-$500 dollars a photo that is licensed, meaning one we already took but someone wants to use is it for something. If it is a photo shoot, you have to factor in how many recipes, cost of food, how many photos, etc. We also take into account the value of the reach of the project. Low end for this is $200 and high end is $2,000, depending on all the requirements. If this is something you’re interested in, you definitely want to figure out a way to make your photos stand out on all the food aggregators out there (like FoodGawker, TasteSpotting, etc.). And, if someone goes to Pinterest looking for a food photographer, you want them to think I want this person taking my photos. We use to get annoyed when Lacey would get 12 emails a day with people pitching their products. Now, we realize that some of these products are really good fits for our audience and things Lacey uses anyway. For brands that seem like a good fit for us, we send an email response and let them know how we can work with them. The brand will pay you to write a blog post using their product and then have you publish and promote that post to your blog. This is like a more custom ad experience. For us, it usually involves a recipe that goes with their product. The brand is essentially piggybacking on your audience’s attention and the trust that you’ve established with them. This has become a super effective way of advertising. It gives the brand a custom recipe and a positive promotion of their product. We only recommend doing this with brands and products you like and feel comfortable promoting. You don’t want to create a bad experience for your audience. Payouts for a sponsored posts vary depending on your blog’s traffic. The range is usually between $50 to $10,000. The average I have seen is around $100 for every 100k monthly pageviews. You can find these deals by emailing the brands directly and sending them your media kit. Or, you could try signing up with companies like SocialFab and Tap Influence. This is a good source of income for us. It just isn’t as reliable as other sources yet for us. Sponsored videos are similar to sponsored posts, although they usually pay more. They require way more time and energy to produce, but seem to be more effective for the brands. For the high end, I’ve seen generally similar to sponsored posts, the starting point is usually $200 and depends on the quality of your video and the reach of your video base. For us, sponsored video is how we even discovered the sponsoring option as a revenue generator. It made us look into this avenue further and discovered it is really a good fit. I feel like sponsored posts work with a food blog’s flow much better than display advertising and, in the future, that might be the best way to go. This is our largest source of income, but it just isn’t as reliable as other sources yet for us. Sponsored podcasts are a good source of income for any blog and, lately, we have been mapping out our own podcast that will focus on getting healthy with food. Usually, podcast sponsoring depends on your downloads per month. From what I have researched from people like John Lee Dumas, podcast sponsorship usually involves pre-roll and mid-roll. Pre-roll is 15 seconds or so before the podcast and mid-roll is 60 seconds or so during the podcast at some point. Another great option is Cooking Lessons. Lacey used to offer this service more when she was a personal chef. Going to someone’s house and teaching them how to cook. The going rate at the time was $200 bucks a session which were usually about 1-2 hours. However, you could also record lessons online and share them. Although a lot of that information is free now, combining it into an easy to digest form and being the one to deliver it that your audience trusts is valuable. There are a handful of these courses out there, ranging anywhere from $19 a month to a flat rate of $200 that usually gets you access to dozens, if not hundreds, of videos, depending on the product. This is an exciting area for a food blog. 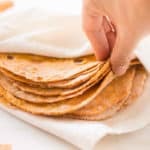 If there are recipes that go over really well and can be made into shippable products, you can create your own versions for selling. For example, we are looking into creating some spice blends and rubs so people can get Lacey’s versions of these. These obviously aren’t for everyone who visits the site since they can make their own version with the recipes Lacey has posted. However, some people want the convenience of not making their own or would rather have it exactly as Lacey makes it. As you get larger and have an existing audience, you can create physical products that solve a problem, like meal prep containers, kid’s lunch boxes that actually work, or clothing, like shirts or aprons. I know Lacey can’t wait to make the meal prep containers and the kid’s lunch boxes. Consider working with a manufacturer to create something your audience will find useful. Once we started to realize that each one of these was a piece to the puzzle, we really started to see progress with growing the blog into a real business. We have learned so much over the past 6 years of running the blog – what not to do and what you definitely should do. If you’re looking for traffic growth strategies, you can check out this post on SEO or this one on why having a Youtube Channel is a good idea. For each of these topics, I will also write an in depth blog post on how to get started to take you from nothing to generating an income in each area. So look forward to those and leave a comment on which one you feel would be the most help. This post contains affiliate links for products and/or services we highly recommend. Hi Dustin here! I'm in charge of tech and business at A Sweet Pea Chef where Lacey and I created a business that generates over six-figures a year. I write about the behind the scenes over at Food Blog Engine, you can follow along with our income reports. Chat with me on Twitter or find me on Instagram. Very inspiring information! Thank you for sharing! 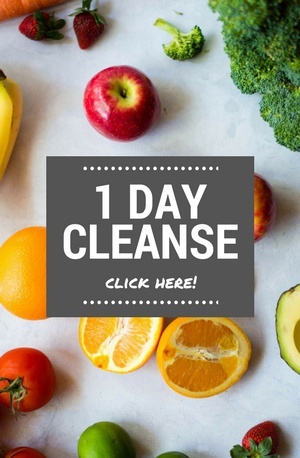 I just found this post and wanted to let you know how great/overwhelming it is! I recently took over a mostly dormant site that still gets some traffic, and I have seen a nice boost in the first few weeks, just from optimizing a bit more. My plan was simply AdSense and Amazon Affiliates originally, but decided to search for additional ways to monetize the site on a whim, and I am glad I found this. Like I said, it’s a little overwhelming, but it’s comforting to know that there are more ways to go about this business. Thanks again for the great resource. Definitely bookmarking for future use! Adam – glad you found it helpful. Good luck with your site.